Kate DiCamillo meets Lemony Snicket in this darkly comic novel about two sisters who learn they are each others' most important friend! Imagine two twin sisters, Arabella and Henrietta--nearly identical yet with nothing in common. They're the best of friends . . . until one day they aren't. Plain and quiet Henrietta has a secret plan to settle the score, and she does something outrageous and she can't take it back. When the deed is discovered, Henrietta is sent to live with her eccentric great-aunt! Suddenly life with pretty, popular Arabella doesn't seem so awful. And, though she's been grievously wronged, Arabella longs for her sister, too. So she hatches a plan of her own and embarks on an unexpected journey to reunite with her other half. Kathryn Siebel teaches humanities at Billings Middle School in Seattle and works with elementary school students at the Green Lake School-Age Child-Care Program. She has worked in educational publishing and as an English teacher and librarian and has an MFA from the Iowa Writers' Workshop. 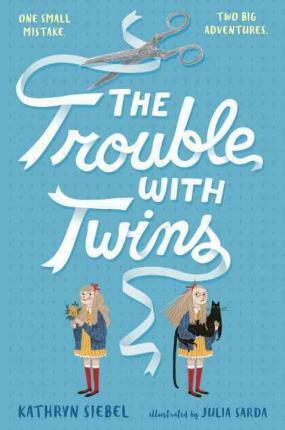 The Trouble with Twins is her first novel. From the Hardcover edition.